Construction sand and gravel is a major commodity being produced in all fifty states of the U.S. The maximum amount of sand and gravel producing states are California, Texas, Michigan, Ohio, Arizona, Colorado, Minnesota, Washington, and Wisconsin. Combined, they make up roughly 51% of the total amount of construction sand and gravel produced and mined in the U.S. Additionally, sand and gravel are also imported from Canada, the Bahamas, Mexico, and a number of other nations to meet local needs. 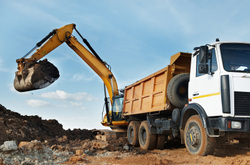 While a little over 50% of the sand and gravel utilized in construction is for “unspecified” functions, the remaining is used to make concrete, road construction, and asphalt mixing. Also, it is used in construction fills and producing construction materials such as concrete blocks, bricks, and pipes. Lastly, it is employed in the formation of roofing shingles, on icy roads during winter, railroad ballast, and water filtration systems. Gravel is made up of pebbles, stones, and rock fragments which have broken off from larger deposits of minerals like shale, quartz, granite, or sandstone by water or erosion due to ice. Geologically, gravel is found in riverbeds and seas, but it's more common to find it in dried-up streambeds forged by glaciers. The five standard gravel sizes are graded for commercial use by allowing the grains to pass through standardized sieves. Gravel looks fantastic when it is aesthetically placed and appropriately used. Whether it is for constructing a driveway that will last, for use in a garden, or for making paths we are equipped to supply all types of gravel. Using gravel is a good economical way of having an attractive driveway. It also repels water and eliminates water puddles during the rainy months. For construction of a driveway, we can deliver the lower layer that is made up of larger stones. This layer is placed on top of the dirt. The next layer needed will be made up of smaller stones and the final layer will use the finer gravel to provide a smooth ride while sealing the gaps. A driveway constructed using these three layers will have longevity, good drainage, and will be comfortable to drive on. All types of gravel needs can be fulfilled by us. It is possible for weeds to grow in pathways and driveways after gravel has been spread and give the driveway or path an unsightly appearance. Pulling the weeds out by hand can be time consuming and can cause soil to be mixed with the gravel, which only leads to more weed growth. This can be eliminated by applying geotextile membrane before the gravel is placed. Geotextiles are synthetic membranes, water, and air permeable that last on average fifteen years when covered with material like gravel. When secured to the ground with wire pegs, before laying gravel, these membranes give great long-term weed control. Being specialists in the field, our fully insured and licensed operators will complete deliveries within the timeframe worked out. Since time is money, we guarantee timely delivery regardless of the size of the project. Whether it is a small backyard renovation or a major commercial project, we can satisfy all gravel needs. Having established ourselves as one of the leading suppliers of gravel, we offer speedy deliveries and options of off-load on large orders. Decorative gravel is a very popular and inexpensive ground cover. Being available in a large variety of textures and colors, it makes for interesting and attractive entrance pathways into a house. Different types of gravel can also be used to top off plant pots or be used as borders along paths. Ornamental gravel combined with water features enhances the view and may increase the value of a property. Gravel driveways can also help to improve the security of a home. Burglars avoid creeping around during the night in homes that have crunchy gravel, thus making the house more secure.